Subject: LongIsland.com - Your Name sent you Event details of "A Kaleidoscope of Past Pleasures"
A kaleidoscope of color Is on display at the Bryant library in Roslyn showcasing some of the Vintage Collections of Ellen F Broder. 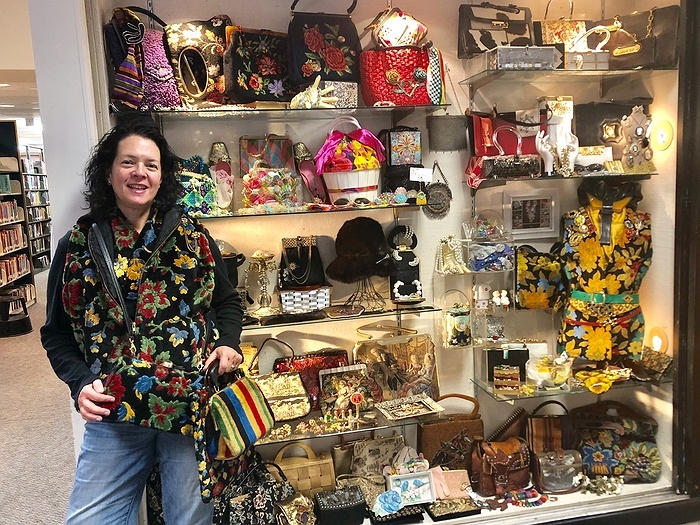 From her teenage days of searching and finding that “must have peace” to “one of a kind” Handbags, Jewels and Accessories, she loves wearing her fabulous finds! Come see the Style, Sentiment, and Sparkle of her Treasures from Past Pleasures.